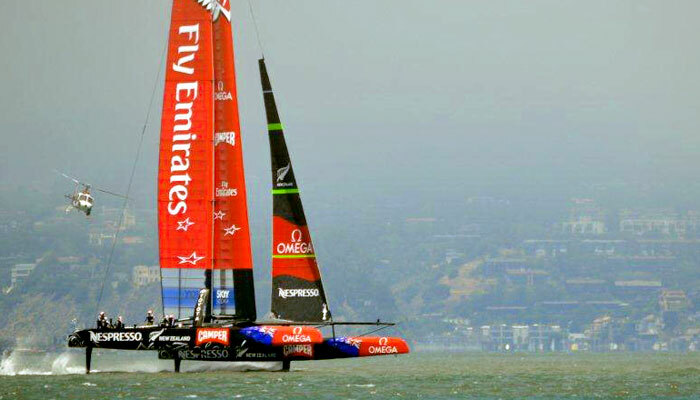 The question is: Has Luna Rossa improved enough to bring the fight to Emirates Team New Zealand? After being soundly beaten in the round-robin section by ETNZ, Luna Rossa beat Artemis 4-0 in the semi-finals. ETNZ was dominant over Luna Rossa right from the first match-up and it’s worth going back to that first race to look at the very interesting data to see how they did it. On the three downwind legs, Dean Barker’s crew average speed (35.9 knots) was 3.4 knots faster than that of Luna Rossa (32.5 knots). Upwind, it was closer. The Kiwis (20.1 knots) held the edge by just under one knot compared to Luna Rossa (19.15), on the two upwind legs. Interestingly, the Italian boat sailed 1376 meters (0.74 nautical miles) further than the New Zealand boat over the length of the race, and most of this extra distance came on the upwind legs. There was also a wider disparity between distances sailed on each upwind and downwind leg on the Italian boat, suggesting more consistency and smoother sailing by New Zealand. 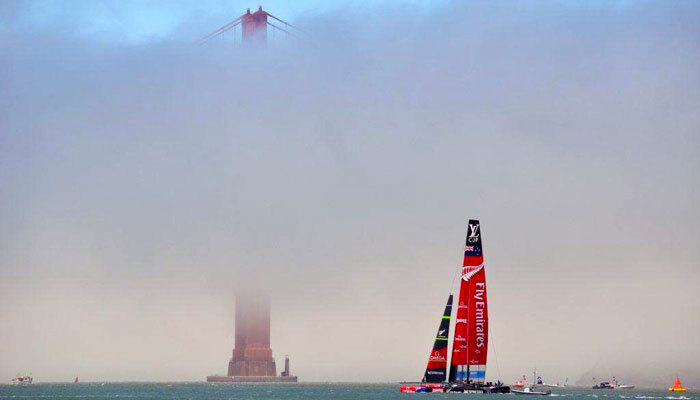 Here’s a link to the America’s Cup official site with the latest. Mike Yarnell and Tia Renshaw, with Thistle friend Janice Young, watched Emirates Team New Zealand team and shot these great pictures. They say the best viewing is on the breakwater east of the St. Francis Yacht Club and Golden Gate Yacht Club—and it’s free. Mike’s comment: “Wow, are these boats fast!” The wind that day was 17-18 knots with New Zealand finishing the 18.6-mile course in 45:28, reaching a top speed of 49.8 miles per hour. Not very long ago that would have set a sailboat world speed record. Here’s a clear explanation of the conditions the America’s Cup contenders confront when they go to battle, offered by Team New Zealand meteorologist Roger “Clouds” Badham. San Francisco Bay presents some daunting wind and tide, sometimes moving together and sometimes running against each other. Here’s a nice (but very basic) round-up of America’s Cup information, presented by Marin Magazine. Here’s the newly-revised schedule for racing for the Louis Vuitton and AC Cup.